Fellowship Baptist Church is located in Onaga, Kansas. This church is centered around the teaching of the Word and the ministry of the Word in the lives of the people in this community. 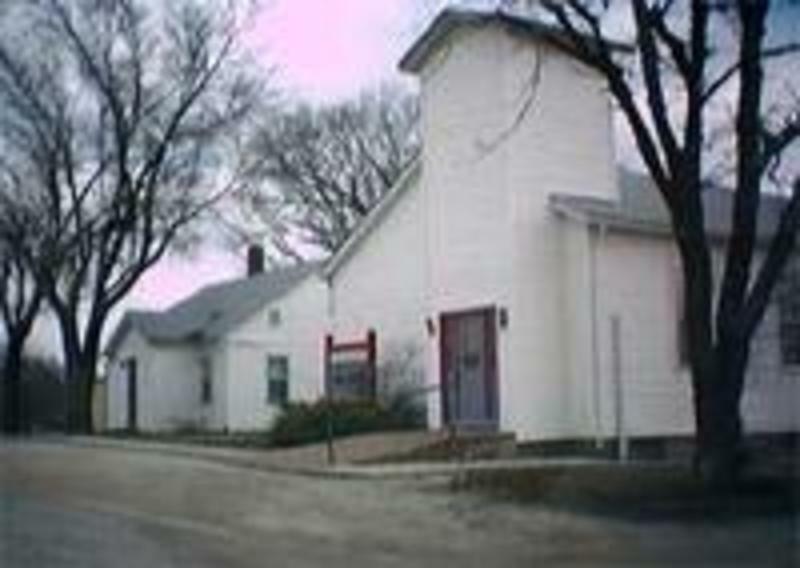 The church is currently located on Leonard Street and 4th in downtown Onaga. The church formed in 1995 and constituted February 29, 2004. Pastor Eugene Jennings has been here since November of 1996. The aim of this body is to reach Onaga and the outlying communities with the Gospel of Jesus Christ, and to demonstrate Christian lives and principles by the power of the Holy Spirit within us. The building where the church currently meets also houses the Youth Center that is one of the primary outreaches of the church. Every Saturday night the Youth Center is open for "business". That business is giving the kids in the community a safe place to go and being a point of contact between the unchurched youth and our body of believers. The members of the church staff the center voluntarily and make it a point to interact with the kids who come. Food is sold at cost and there is no admission charge for the center or the game equipment. The youth group has begun an outreach ministry called F.R.O.G. "Fully Relying On God". The aim of this outreach is to perform acts of service within the community of Onaga for the express purpose of sharing the love of Christ with friends and neighbors. This new ministry (organized and run by the youth) has already performed two service projects of supplying firewood to families in need. December of 2004, Calvary Baptist Church of Onaga closed its doors and united with Fellowship Baptist in the work of the Kingdom. They gave us their church building and most of the members have joined this body as well. Following renovations and additions to the building, the old Calvary building will become the new home for the worship services of Fellowship Baptist. With that union, Fellowship Baptist assumed support for an additional four missionary families, (beyond the three we already had plus other ministries) and took responsibility for weekly services in the retirement and nursing homes. We are excited to see all that God has been doing in our midst and expect to see Him continue to guide and bless us as we labor for the kingdom in our small corner of the world. Please feel free to join us for worship any time you are in the area. Pastor Eugene Jennings has shepherded Fellowship Baptist Church since 1996. He and his wife, Joyce, and two daughters moved to Kansas from the Phoenix area. They settled in rural Havensville and assumed the pastorate of Fellowship Baptist on November 3, 1996. The Lord has since added two more children and much joy in the work. The Jennings children include Elizabeth Lottie, Hannah Victoria, Isabelle Michaela and Lester Eugene IV. In truth, the quiver is full! Pastor Jennings attended Grand Canyon College in Phoenix, but withdrew prior to graduation due to financial difficulties. With the addition of family responsibilities and full time employment, returning to college was always a dream that has been put off. However, he is a voracious reader and so studies at the feet of such men as Charles Spurgeon, J.L Dagg, J.P. Boyce, Jonathon Edwards, Richard Baxter, Thomas Manton and John Owen; he has also been mentored by Pastor Tony Mattia of Trinity Baptist Church. These amazing resources have been a blessing that the Lord has greatly used to train him in the ministry. The Founders Study Center has also been used of the Lord to help to equip him for the always challenging task of shepherding the flock of God. The Lord also used many occupations over the years to prepare for the variety of demands that the pastorate imposes. From construction, to truck driving, retail sales to hard manual labor, counselor in a group home for troubled teens to various church staff positions; all have provided invaluable training in the absence of formal theological training. Pastor Jennings has always been musically inclined and directs the choir at Trinity Baptist in Wamego. This work the Lord continues to bless and to guide, and the work at Fellowship continues to grow. With a church family constantly growing and family at home now including a teenager the challenges are only beginning.